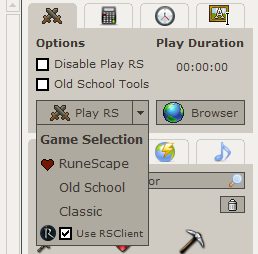 Due to Chrome dropping support for JAVA, we've decided to instead embed the official RuneScape Client. This should work for both RuneScape and Oldschool. Please let us know if you have any problems. It's suggested you download the latest version of the RSClient off the RuneScape website. With the upcoming RuneScape 3 BETA SwiftKit will also need to evolve to support the latest HTML5 technology. Currently SwiftKit uses Internet Explorer, which doesn't support the technology requirements for RuneScape 3. In order for users to experience RuneScape 3 inside of SwiftKit, we've gone ahead and implemented the ability to use a Google Chrome Frame inside of SwiftKit. There's no denying that RuneScape works best on Google Chrome, you will see immediate performance enhances. The Chrome Frame has it's own cache directory. So the first time you load RuneScape it will need to re-download. After that though it will be nice and fast. How do I enable/disable the Chrome Frame? Go to View > Settings inside SwiftKit and check or uncheck the Chrome Frame setting. Will this work for Old School? Yes! This change will work for all three versions of RuneScape. EoC, Old School and even Classic. (Fixed) You can only use the Chrome Frame option on your primary monitor. If you move it to another it disappears. (Fixed) Chrome frame crashed on Windows XP when you tried to accept Java plugin notification. (Fixed) Pressing F11 causes the frame to go glitchy. (Fixed) Old School has the top game bar/menu bar. (Fixed) When in fixed screen graphic setting on EoC the footer is visible. Recently we've noticed an alarming trend of players thinking that SwiftKit is either unsafe to use or outright illegal. With both being completely untrue I thought it's time we cleared a few things up and explained. By doing so hopefully it will help those confused and misinformed along with helping avid SwiftKit users explain to others what the deal is. The SwiftKit project has been running for over 8 years now and we intend to continue it for a lot longer. We do not force players to use the SwiftKit client, however, we do not appreciate players spreading false and potentially reputation damaging comments. The SwiftKit team works hard to maintain the safety of users. In aims of transparency, I will address two of the most common misconceptions regarding SwiftKit below. Concern #1: Is SwiftKit Legal? / Can I get banned? Yes SwiftKit is legal, and no you can not get banned. SwiftKit is and always has been perfectly legal to use. Jagex have not once ever banned a player for simply using SwiftKit (or SwiftSwitch it's predecessor). So why don't Jagex support SwiftKit then? Simple. SwiftKit is a 3rd Party Client. That means Jagex has no control over it, so for them to support or recommend it would be risky from a business perspective. If for any reason Jagex changed their stance, we'd be the first ones to announce it. Although very unlikely as we've always worked with Jagex to ensure that SwiftKit remains legal by making any necessary changes. Concern #2: Is SwiftKit Safe? Simply put SwiftKit is as safe as browsing any other RuneScape fan site out there. No SwiftKit is not a virus and no SwiftKit is not a keylogger. Let's be realistic here, SwiftKit has been around since 2004 and had over 3 million downloads. If it was even remotely unsafe whatsoever, do you think it would have lasted this long or had that many downloads? Would on average 20 thousand players use it daily? Not likely. Our primary goal is and always has been to help players out and to make their RuneScape experience more enjoyable. Concern #3: What about harmful updates? Another concern some users may have is the fact that SwiftKit downloads updates on startup via the Launcher. What if the update server were to be compromised, could the attacker push out harmful updates? The answer is no, it's not possible. We've built many layers of security and protection into the Launcher to prevent any unauthorised updates being pushed out. 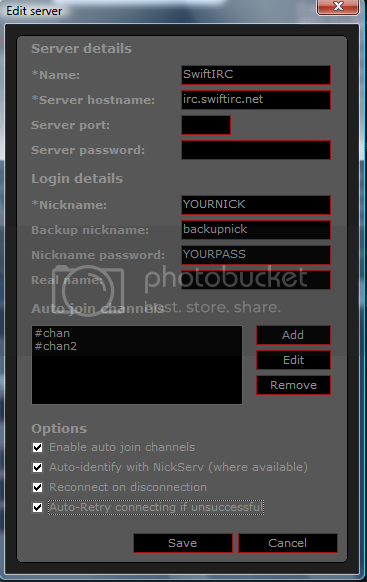 All updates downloaded are verified by the Launcher and also against a number of integrity servers. If the integrity check fails, the update is aborted and the file deleted. While it is true that a few months back the SwiftKit.net domain was stolen from us for a few hours, the SwiftKit client itself was NOT affected. This occurred because of a flaw in our domain host GoDaddy's account recovery system. The SwiftKit.net domain was stolen from us by means of fraud and identity theft. We have since moved all our domains off GoDaddy and onto a much more secure domain host. We've been seeing far too many misinformed, confused players believing that "SwiftKit was hacked", which is completely false and rather damaging to our reputation. We've put a lot of effort into making the SwiftKit Client/Launcher as secure as possible. With the security measures in place, you run the exact same risk using SwiftKit as you would browsing any RuneScape fan site - or in fact any website out there. Hopefully this will help clear things up for those confused or unsure. It would also be a great help if you notice someone posting or commenting false statements like "SwiftKit is not safe" or "SwiftKit is illegal" that you correct them or point them to this post.